Rubber Cable, Mining Cable, Marine Cable, Welding Cable, Power Cable, Control Cable, High Tempreture Cable, Flame Retardant Cable, Halogen Free Cable, Instrument Cable, Crane Cable, Flat Cable, Photovoltaic Cable,XLPE Cable,AAC ABC ACSR AAAC cable etc. 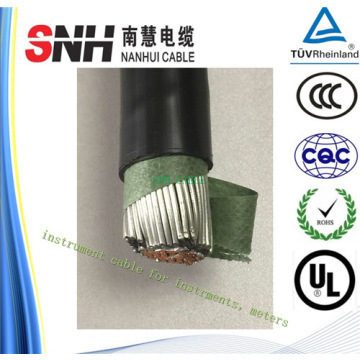 This flexible copper/pvc/pvc instrument cable is used as the connection wire of low voltage instrument. The braided copper wire screen can keep the cable from signal interference. To know more types, please let us know. Thank you! 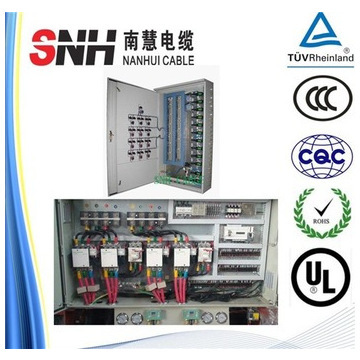 + Shanghai Nanhui Cable Co.,ltd (known as SNH cable) is a professional manufacturer engaged in electrical cable & wire. + Our company has established for almost 30 years since 1984. + Products covers rubber cable, mining cable, welding cable, marine cable...... with High Quality. Furthermore, we can customize based on customer’s individual requirements. 30 years manufacture experience , 10 years export experience. employees and & D team, focusing on providing the BEST QUALITY products. SHANGHAI LOCAL MANUFACTURER, near to Pudong Airport and Sea port, which enables us with SHORT DELIVERY TIME. Accept small order, can send some samples FREE OF CHARGE. Enjoying good reputation on QUALITY by numerous customers both at home and overseas. PERFECT QUALITY TESTING EQUIPMENT and strict inspection system from raw material to loading step. We supply products with all standard, such as: IEC; BS; JIS; VEDE; ICEA; GB. A professional overseas sales team with high resposibility. Q1: Is your company a manufacturer or a trade company? A: We are cable manufacturer,which is located in the south of Shanghai. then we can pick you up to get our factory in 20 minutes. All our clients, from home or abroad, are warmly welcome to visit us ! Q3: What is your sample policy? which will be deducted from the purchase order then. So, don't worry. We are pleased to offer samples to you for quality testing. Q4: How does your factory do regarding quality control? from the very beginning to the very end. your full catalog and pricing list ? your requirements so that we can send out the quotation to you. Q6: Do you have any MOQ limited? A: Our MOQ is 500m. Q7: What’s the lead time? Mass production: within 10-15 working days. Q8: How do you ship the goods and how long does it take? A: We usually ship by DHL, UPS, FEDEX, TNT, which usually takes 3-5 days to arrive. By air, by sea are also acceptable. Q9: What's the payment method you accept? A: 30% T/T deposit, the balance must be paid before the shipment. seaworthy wooden drum with robust construction or soft packaing according to customers' requirements. 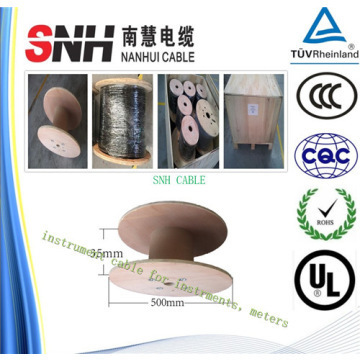 Shanghai Nanhui Cable company limited (known as SNH cable) is a professional manufacturer engaged in electrical cable & wire. Our company has established for almost 30 years since 1984, our factory covers an area of 25000 square meters, and have about 200 employees, our products covers rubber cable, mining cable, welding cable, marine cable and so on. Furthermore, we can customize based on customer’s individual requirements. With guarantee steady and timely supply, sensible quality we won good reputation both in domestic market and oversea market. And our products has successfully sold all over the world.We are kindly inviting you to visit our company. 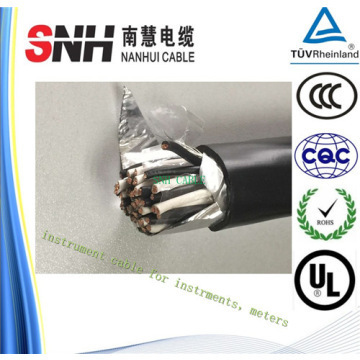 Factory Info: Shanghai Nanhui Cable Co., Ltd.
Shanghai Nanhui Cable Co., Ltd. (Original Shanghai Nanhui Cable Factory) is a professional manufacturer specializing in rubber insulated and rubber sheathed cables, located in Xinchang Industrial Park, Shanghai Pudong Development Zone. The company was founded in 1984, has 90 million RMB fixed asset, 80 million RMB working capital , covers an area of 25000 M2, working area of 16000 M2. The company employees nearly 300 staff, including 34 engineers and technicians, 11 senior technical managers. We have more than 200 sets of production equipments and testing equipments, in which there are 6 rubber cable production line, 4 continuous vulcanization production line, and a technologically advanced triple-extrusion line, is the key manufacturing equipment for 35KV mobile cables. Our annual production capacity exceeds 5 million RMB. Our company has strong technical force, excellent tooling equipment, mature production technology, advanced testing methods and strict scientific management system. We can produce cables according to Chinese standards (GB, JB, MT), International Electrotechnical Commission standard (IEC), British Standards (BS), Germany standard (DIN) Japan Standard (JIS), American Standard (UL) and other domestic and foreign advanced standards. We can supply more than ten categories, around ten thousands types of cables and wires, includes general rubber (flat) cable, XLPE cable, XLPE armoured cable, power cable, mining cable, marine cables, welding cable, elevator cable, electric hoist cable, AAC, AAAC, ACSR conductors, port machinery with high-pressure (flat) cable, motor lead wire, radio equipment line, rubber insulated fixed electrical wiring, car charging wires,etc. Our products have outstanding reputation for quality among our clients. We can also produce various non-standard cables according to customer’s individual requirements and special environment applications.